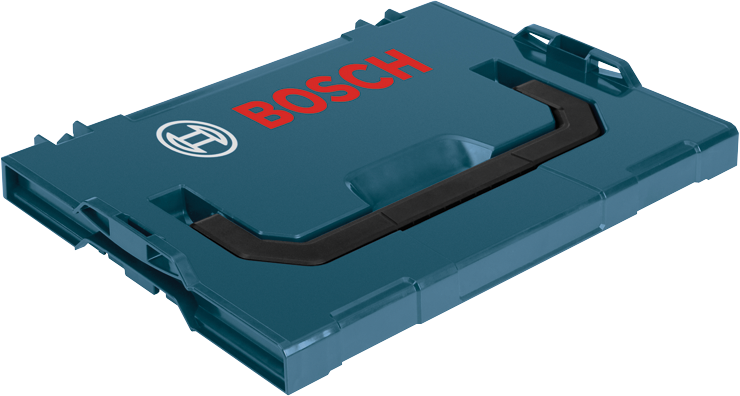 The Bosch L-RACK is a customizable expansion option for the Click and GO system. Users can now choose to add new L-RACK drawers, i-BOXX53 trays and organizer sets to expand their very own customized storage, organization and transport solution. 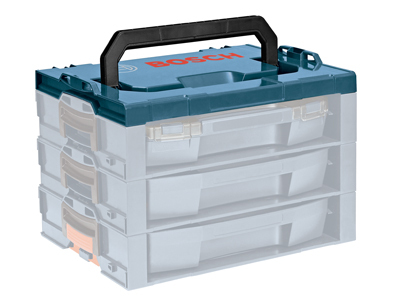 Add a few l-racks to an L-Boxx (1, 1 A, 2, 3, 3D or 4) to build specific Tool Kit or stack them high or side-by-side to create a stationary storage system in your shop. The entire system uses the same single-click stacking technology, so you can keep organized and mobile. The l-rack-t is the top handle that attaches to the l-rack-s. This top handle provides easier portability to the stacked shelves. Combine the l-rack-t with multiple l-rack-s shelves to create a mobile organization structure to fit your needs.